It looks blue, but it’s green. What an inspirational example of innovative design, but look at the construction details of how this works to truly get inspired. I wonder if this type of textile technology could be applied to geodesic structures? + PTW Architects, with CSCEC & Design. 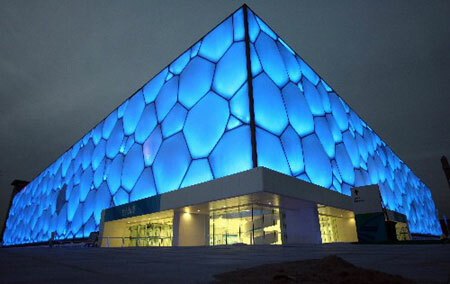 + ETFE construction by Vector Foiltec.